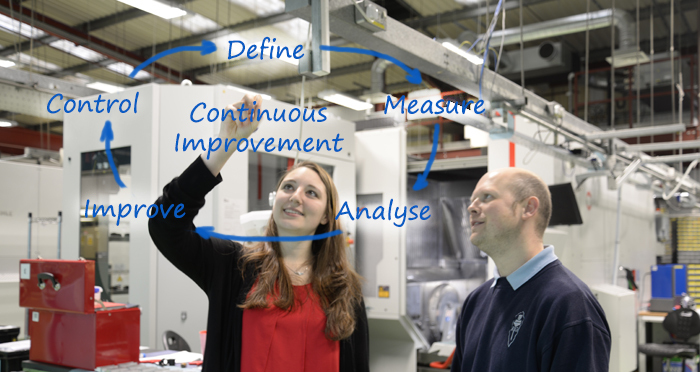 Reliance Precision is delighted to announce it has been awarded an £80,000 grant from the UK’s innovation agency, Innovate UK, to fund a Knowledge Transfer Partnership (KTP) Programme for Continuous Improvement (CI) with the University of Huddersfield. The two-year KTP Programme is co-funded by Innovate UK with Reliance contributing an additional £40,000 worth of resources. The funding will in part pay for a KTP Associate to work on-site at the company, supervised jointly by Reliance and the University of Huddersfield’s Business School. With 16 KTP programmes, the University of Huddersfield was named in 2015 as one of the top ten universities in the UK operating this type of scheme. The objective of the KTP programme is to help businesses improve their competitiveness and productivity. From Reliance’s perspective the KTP will deliver robust, sustainable operational processes that will enable the company to deal with challenges well beyond the two-year scope of the programme. The KTP Associate working at Reliance is French engineer, Brunehilde Carniel-Perrin, who specialises in manufacturing and business improvement. She explains: “The KTP programme is a great way to create a bridge between academic research and industry, bringing the latest business management and manufacturing techniques to an industrial setting.